Dinner at 298 Nikuya Room. 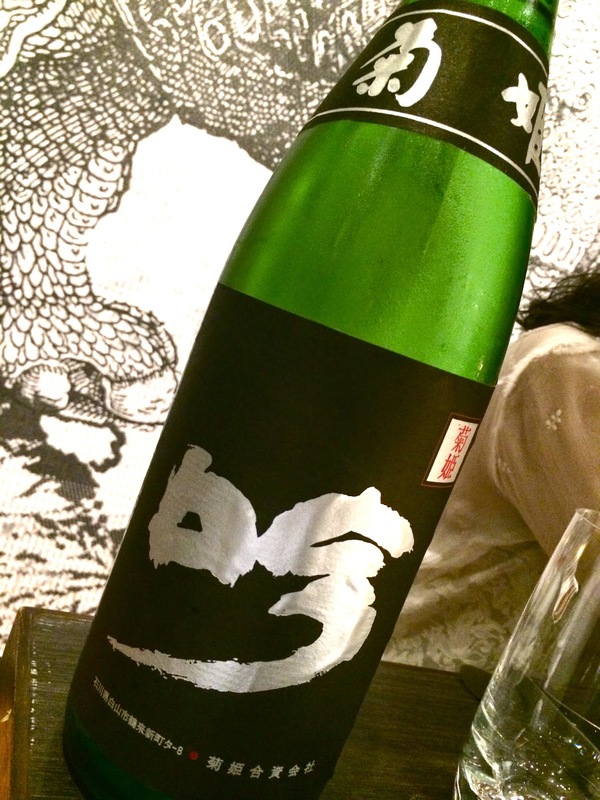 Kikuhime Kurogin from isshobin (菊姫黒吟) - a junmai daiginjo (純米大吟醸) that consisted of only natural drip (not pressed) and bottle aged for three years before release. Sweet on the attack but turning dry in mid-palate with a very dry and spicy (辛口) finish. Very rich and viscous texture.